It’s time to announce the Giveaway Winners! Thanks to all those who participated. I absolutely loved hearing the book titles you’d choose to tell your own story and am reminded of how much we can learn from one another. I used a random number generator to select the comment number of the winners and they are: Mary Reese and Betsy Marmon! Congratulations! I’ll contact you privately about getting these signed copies of Ask Me Anything, Lord to you. 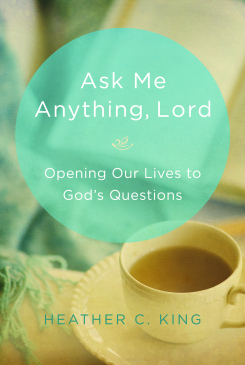 And now, for the final excerpt from Ask Me Anything, Lord. Enjoy! You want me to do what, God? You want me to parent these children? You want me to stay in this marriage? You want me to lead this ministry? You want me to start this program? When God calls us, it isn’t about us at all; it’s all about Him. We’re the ones looking at our qualifications and feeling mismatched for the job He’s assigning us, whatever that calling looks like in your life. “Who am I that I should go to Pharaoh and bring the Israelites out of Egypt?’” (Exodus 3:11 NIV). “I will be with you . . . I AM WHO I AM. This is what you are to say to the Israelites: ‘I AM has sent me to you.’ . . . ” (Exodus 3:12-15 NIV). There are moments and days when I fell like Moses, when I begin to wonder how I could possibly minister to others when I’m working so hard at basics like keeping calm with misbehaving children and not stressing about my calendar. When I feel so empty, how can I pour out to others? It’s one thing to serve and encourage when we’re overflowing; God’s goodness just sploshes over the tops of our lives and refreshes all who cross our paths. But, what about when our cup seems dry? What happens when a thirsty neighbor lifts up needy hands in our direction and we ladle out empty air? In some ways, that’s where Moses was. He felt enthusiastic to the point of foolishness about leading the Israelites decades before when he was still in Egypt. Unfortunately, he was oozing confidence and overflowing with a vision of leading a slave revolt that depended on his own strength. He believed then that if it all depended on him, well then he was enough. Then he murdered an Egyptian in his enthusiasm. His own people rejected him. Pharaoh sought to punish him. That’s what happened when he served in his own strength. At the burning bush, however, Moses clearly recognized that if this deliverance thing depended on him, well then he simply didn’t cut it. And that’s what we say sometimes when we tell God that we can’t possibly do what He wants us to do. “Jesus was saying, ‘Do not worry about being of use to others; simply believe on Me.’ In other words, pay attention to the Source, and out of you will flow ‘the rivers of living water’” (John 7:38 NIV). Similarly, the Psalmist wrote, “Then those who sing as well as those who play the flutes shall say, ‘All my springs of joy are in You‘” (Psalm 87:7, NASB). God is the Source, the Spring from which comes all our joy. He’s not an immovable Fountain either, located at only one place or accessible at only certain times of the day. He is our Portion and Provision every moment of every day. When we find ourselves carrying our cups back to Him like Oliver Twist in the orphanage, asking shamefacedly, “Please, Sir, can I have some more?” we’re forgetting that we serve a generous God, who longs to pour out His grace on us. He isn’t stingy and doesn’t want us thirsty or starving. The more times a day we lift our cups to Him, the more times He will fill them. If that means we’re having a quiet time every five minutes all day long, then that’s what it takes that day to fill up at the Fountain of God. I know that when I’m running back to the well every few minutes, it’s because I’m a needy and leaky person, with holes punched all in my heart from stress and busyness. Yet, it’s also because I’m pouring out to others and God is willing, even joyful, to replace what I’ve spilled over into the cups of my husband, my children, my friends, my Bible Study girls, my church members, the Wal-Mart cashier and the girl who cuts my hair. The frequency of our visits to the Well doesn’t reveal our weakness or failure. It reveals our dependency on Him and how much we pour out to others. So when we peer into an empty cup and think we’re too dry to walk this Christian life, too empty to share with another, then we’re forgetting that It’s All About Him. That’s the mistake Moses made. He assumed the ministry depended on himself. Truthfully, though, none of the ministry we perform in our homes or outside of them is contingent on our ability, brains, beauty, education, character or godliness (thank goodness!). 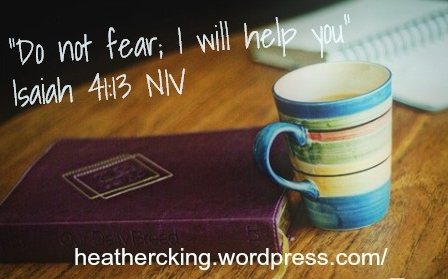 It’s really all about Him, and He promises: “For I am the Lord, your God, who takes hold of your right hand and says to you, ‘Do not fear, I will help you” (Isaiah 41:13 NIV).